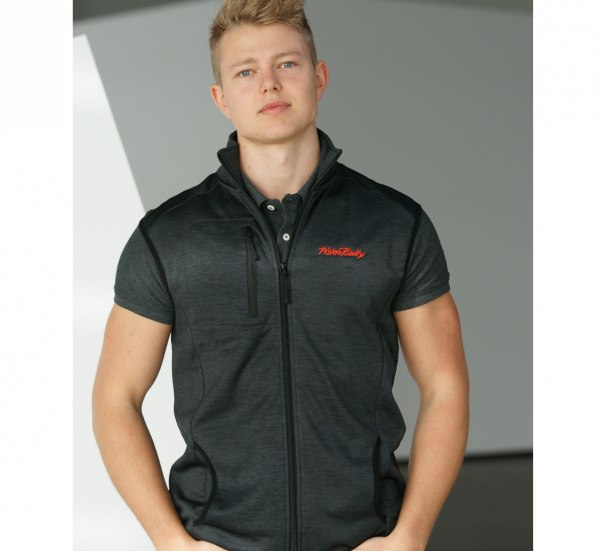 Functional vest made of single-jersey and roughened fleece on the inside. Features: 2 front pockets and one breast pocket with zip fastening. The vest is embroidered with the PistenBully lettering on the chest and neck. The size M is temporarily out of stock.